He disarms with a simple introduction. “I’m Ben,” says the 44-year-old star, extending his hand. In a casual gray sweater and black pants, he picks a place to sit on the balcony of a room at the Four Seasons Los Angeles at Beverly Hills to discuss his latest drama, Live by Night (out January 13). The two-time Oscar winner maintains laser-sharp focus while chatting about his fourth directorial effort, in which he plays a 1920s gangster running a rum operation. Ben Affleck, father of three (with Jennifer Garner), answers all with Us West Coast Bureau Chief Rebecca Bienstock. US: What’s the hallmark of a Ben Affleck film? BA: I don’t know that there’s a hallmark. I try to cast really good actors and give them a chance to do their very best work, give them as much time and space as they need. I feel like casting is the most important aspect of making movies. Hopefully a good story, good dialogue. It’s hard to say. That’s for other people to say, I suppose. US: Describe the vibe on the set of your films. Do you pull practical jokes like George Clooney? US: Many of your films are set in Boston. How are you influenced by it? BA: I grew up there, and I have a good instinct for what’s real and what’s not. I don’t have to second-guess myself. 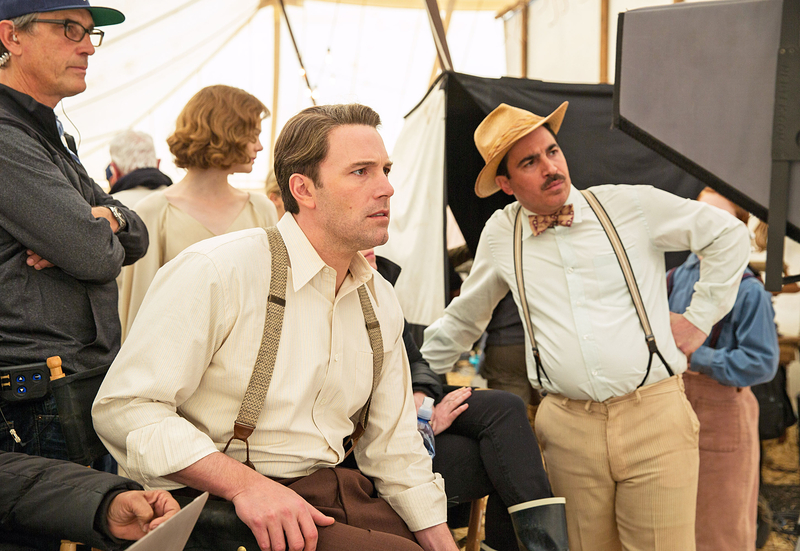 US: Live by Night explores the idea of having an unconventional moral compass, what are your thoughts on how you try to live your life? BA: I think it’s kind of interesting, it’s a provocative notion — this idea that if we try to define our own moral universe, there’s a price for that. There’s a lot of romance to sort of living by your own rules and sort of not subscribing to what society tells you to do, but society pushes back pretty strongly, so there’s a lot of compromise that goes with that. US: You’ve said you took the role of Batman, in part, for your 4-year-old son, Samuel. I’m assuming your kids will not see Live by Night? BA: My kids can see this when they’re 13. US: Does picking movies that would appeal to your kids inform your decisions at all? BA: It definitely informed my decision to do Batman. That was part of the excitement. This movie has nothing to do with my kids, but there are themes about fathers and sons, which is moving to me. US: What do you draw from your own experiences with that father-son dynamic in the movie? BA: Well, I think when you have children, it just changes your worldview, and that’s reflected in the movies. The perspective that you have is just different, and so the movies are different. The more children I’ve had, the more I’ve felt that presence in the movies. US: I saw in one interview that Chris Messina and Chris Cooper both said you created a relaxed vibe on set. How did you keep that going? BA: You know, just by allowing actors to have enough time to do whatever they want, to not feel rushed, to not feel pressure to act and hurry it up and get it done and get it done right, just that we have enough time to make sure that it’s going to get done right. US: Would you ever let your kids get into acting? US: Are school plays OK? BA: School plays are fine. Theater in school is fine. US: You’ve said that your kids are your most wonderful achievement. How does that compare with your professional success? BA: My professional success is really important to me, and my career is really important to me. It’s the most important thing to me outside of my family. I take it very seriously and work really, really hard at it. Family comes first, but this is something that’s really important to me too. US: What would you have done for a career if this whole Hollywood thing hadn’t worked out? BA: Gosh, I don’t know. I probably would’ve been a history teacher somewhere. US: You started working on the film in 2015. How do you feel about your life now versus then? BA: I feel better about my life every day. My kids get older. My life is very rich and full of wonderful things. I’ve been very lucky, careerwise. US: How do you spend a free day with your kids? BA: My kids like to do a lot of crafts … just getting a chance to spend time with them, play with them, do stuff with them, activities that are focused on house and home. That’s ideal. US: I know the title isn’t literal, but are you more of a night or a day person? BA: I like to sleep, I’ll say that. US: What’s your average go-to-bed and wake-up time? BA: I go to bed pretty early. I’m old, I’m sad to say. I go to bed at 9:30 or 10; I have to get up at 6. US: What’s a perfect day like for you when you’re not working and not with your kids? BA: I don’t know if that day ever comes. I don’t spend too much time just kicking back. On Sundays I like to watch the [New England] Patriots with Matt [Damon]. That’s a nice, relaxing day. US: You spent the holidays in Montana with Matt, your brother, Casey, and your families. Who has cooking duty when you’re all together? BA: Not me! Jen [Garner] is a really great cook. She’s probably the best cook I know. We had roast chicken this year; it was really, really good. Other than that, we do pizza nights, where a guy comes and makes pizza and nobody has to cook. BA: Me. All the cleaning. US: Oh, really? That’s impressive. You don’t mind? US: You’re like, "I have no choice." US: Your younger brother, Casey, is having a busy awards season, thanks to his role in Manchester by the Sea. Have you given him any advice about how to handle the circuit? BA: My brother is very mature. He doesn’t need any advice. He did an extraordinary performance, and I’m voting for him and rooting for him. I don’t want to say I’m proud because it sounds like I’m his dad, but I’m really happy for him. I’m really happy that he’s gotten a chance to play a role that showcases his talents. US: Is there a healthy rivalry between you guys? BA: No. With my brother and Matt and Joaquin [Phoenix] and guys that I’ve known really well for a long time, we tend to just root for each other. I think there’s room for everybody, if you find the right parts. It’s not a zero-sum game. Manchester is a good example of that. He’s got his own part and his own thing. That doesn’t take anything away from me or anyone else. US: Casey did joke [at the Palm Springs International Film Festival] that people should see his movie first. Do you have any thoughts on that? BA: [Laughs] As long as they see mine second. US: You do a lot of work with the Congo. Are you concerned about how the world is going to perceive us now? BA: I don’t know what’s going to happen. It’ll be very interesting to see who’s appointed for the secretary of African affairs, and I look forward to working with them and the Congress. I’ve done a lot of work with a lot of Republicans so far in Congress and in the Senate, and I hope that won’t change, and I hope that the president views the situation in the Congo with the same importance that I do. US: We’re two weeks away from the inauguration. How are you feeling as we go into the next administration? BA: Well, I’m curious — as everyone is — to see what the next administration will look like. It seems much more mysterious than past administrations. It’s hard to read the tea leaves around what it’s going to be like, what it means and what kind of people are going to staff the administration. I’m certainly very curious to see. US: How did you explain the election results to your kids? BA: I explained that more people voted for one person … but we have something called the Electoral College, and because of it, that’s now our president, and we should give him a chance to be successful. US: Did they have questions about it? BA: My daughters [Violet, 11, and Seraphina, 8] wanted the first woman president to win, so they were disappointed. 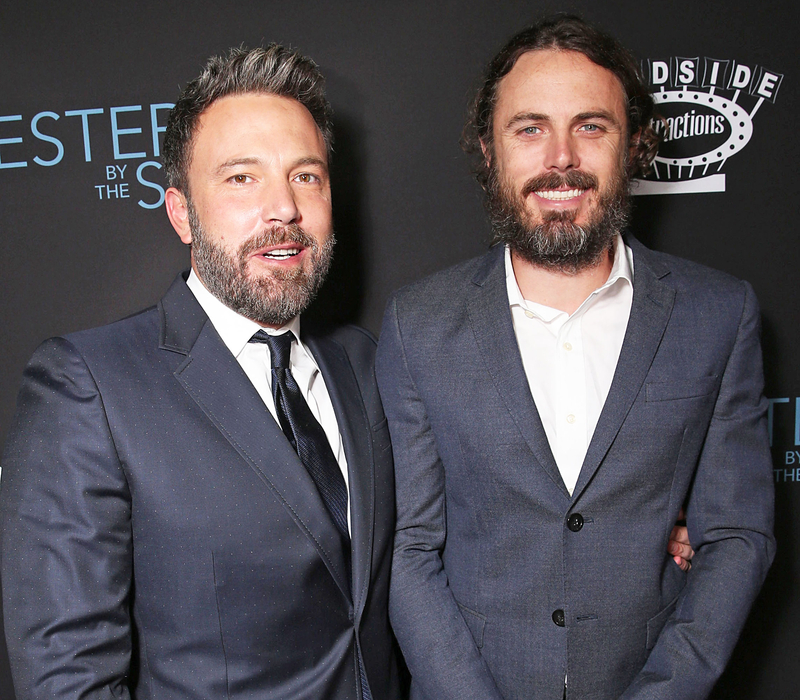 US: Well, there’s room for an Affleck presidency. US: How about a Matt Damon–Ben Affleck presidential ticket? BA: As long as he’s my vice! US: Where would Jimmy Kimmel be in your cabinet? BA: I think secretary of the interior. US: And your favorite NFL quarterback, Tom Brady? BA: I’d have to make him president.